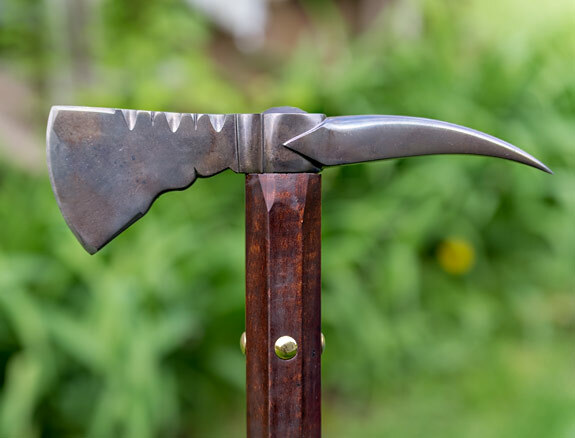 The Curly Maple Walking Cane with Bear Claw is a brand new product from Beaver Bill. 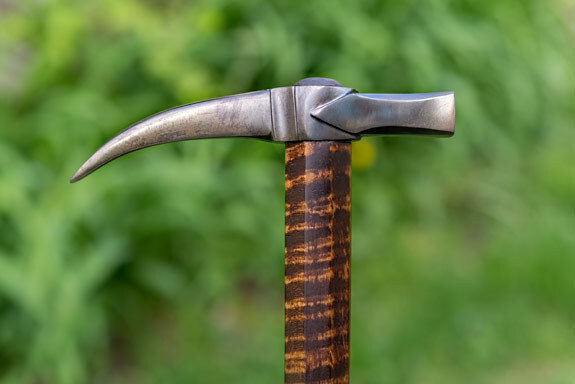 Originally a special request from a customer, it has become popular enough to make it available to anyone who wants to look dapper walking around town or country with this beautiful Beaver Bill Walking Cane. 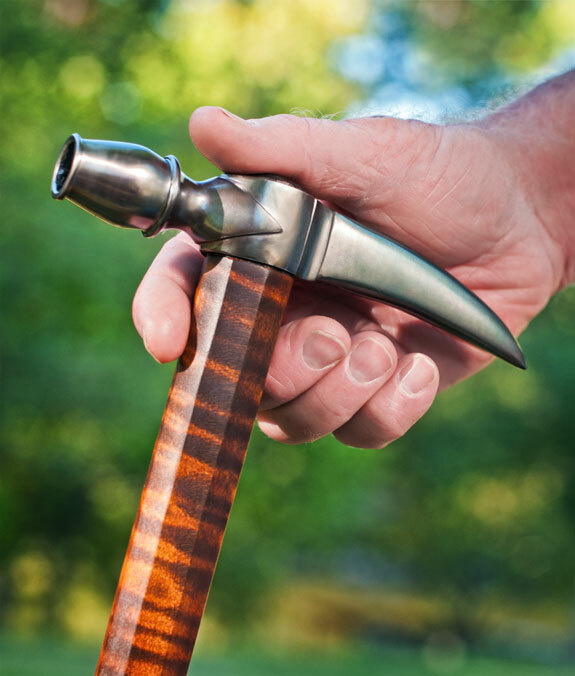 Built from the same material as the tradition Pipe Hawk, it includes an open pipe bowl or solid bowl on one end, on the other end is the “Bear Claw” that serves as the handle and is comfortable in the hand. 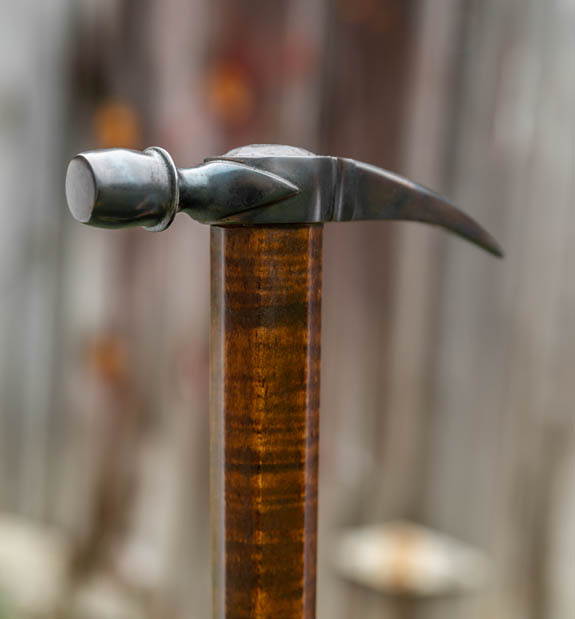 The 36″ long cane is a beautiful piece of octagonal cut curly maple with non-slip tip. 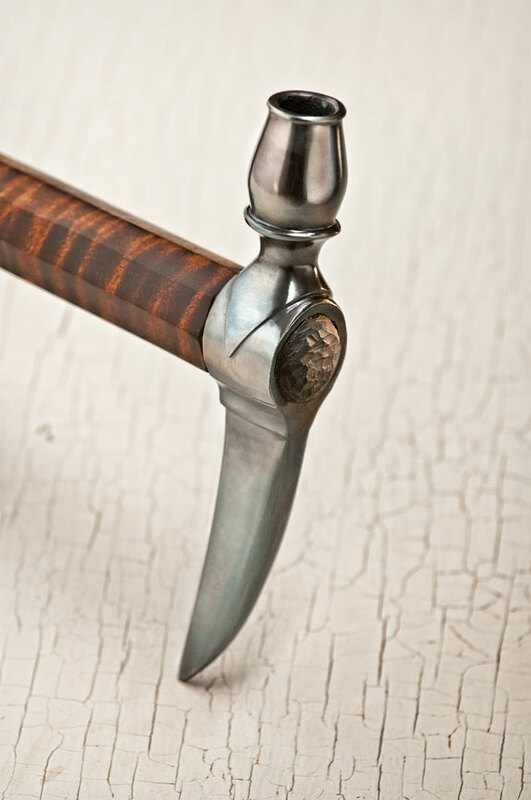 This cane will be sure to attract attention wherever it goes. 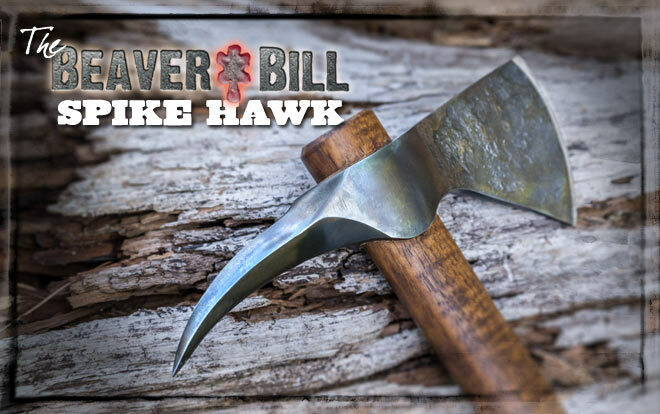 The Beaver Bill Walking Cane can be customized by changing the head configuration or adding tacks or pewter inlay to the handle. 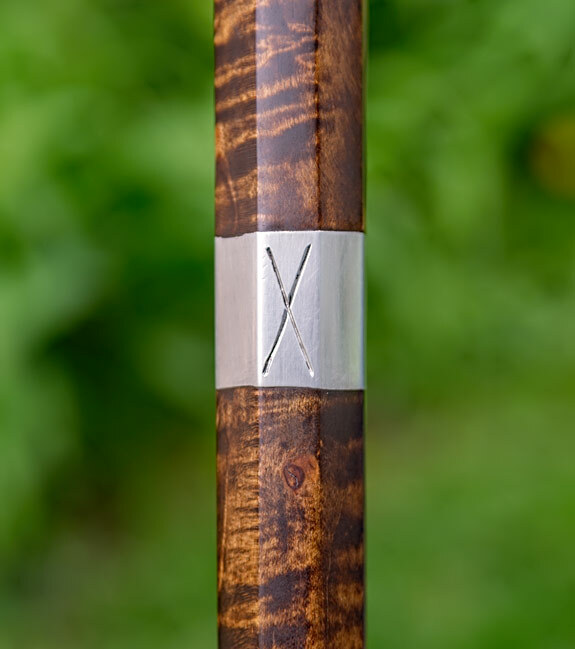 The pictures below show some recent customized canes.